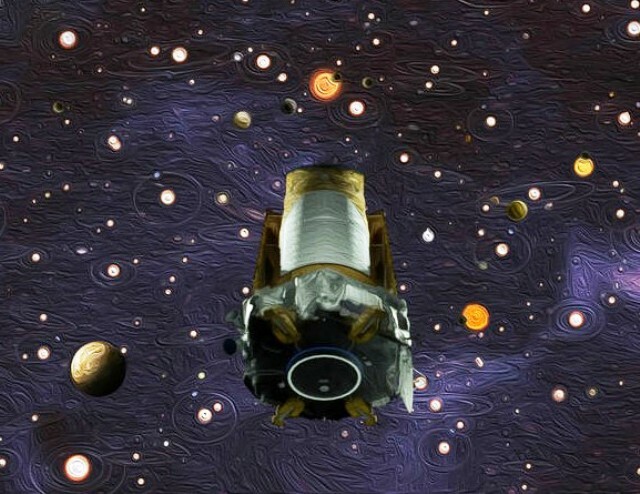 NASA’s Kepler planet-hunting telescope now belongs to the ages, with its fuel completely spent and its instruments shut down — but the planet quest continues, thanks to a treasure trove of downloaded data as well as a new generation of robotic planet-hunters. Space agency officials declared the end of spacecraft operations today, nine and a half years after the car-sized probe was launched. The hydrazine fuel ran out about two weeks ago, signaled by a sharp drop in pressure readings for the propulsion system. “In the end, we didn’t have a drop of fuel left over for anything else,” Charlie Sobeck, project system engineer at NASA’s Ames Research Center, said during a teleconference. This entry was posted in GeekWire and tagged Exoplanets, Kepler, planets, Space. Bookmark the permalink.